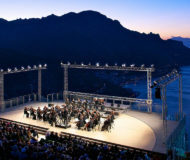 September Events in Sorrento and Amalfi Coast. Walking as a need for life and a proposal for sustainable tourism. The second edition of the Trekking Fest organized by the Pro Loco Due Golfi begins Saturday, June 2, 2018. 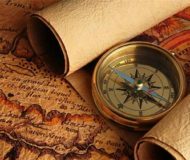 Description: Walking as a need for life and a proposal for sustainable tourism. The second edition of the Trekking Fest organized by the Pro Loco Due Golfi begins Saturday, June 2, 2018. September is a good month to visit Sorrento and the Amalfi Coast, tourists decrease, the air is refreshed and there are many events proposed by the various towns of the coast. 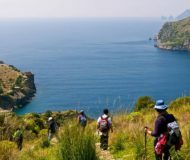 Description: September is a good month to visit Sorrento and the Amalfi Coast, tourists decrease, the air is refreshed and there are many events proposed by the various towns of the coast. The exhibition "Leonardo da Vinci, the Italian pride" is held in the Convent of San Francesco. 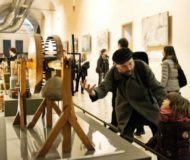 You can admire and try out machines built on original Leonardo da Vinci projects. Works created by the master Mario Paolucci, some in full size, others in scale. All the machines are fully functional. Description: The exhibition "Leonardo da Vinci, the Italian pride" is held in the Convent of San Francesco. You can admire and try out machines built on original Leonardo da Vinci projects. Works created by the master Mario Paolucci, some in full size, others in scale. All the machines are fully functional. 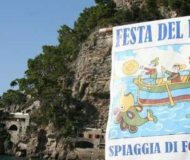 The Fish Festival 2017 in Positano will, as usual, be held on the Fornillo beach. Description: The Fish Festival 2017 in Positano will, as usual, be held on the Fornillo beach.